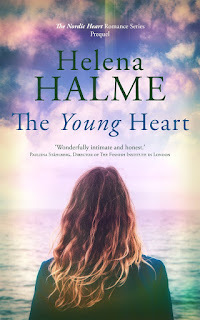 Last weekend, during a Finn Guild friendship network event, I joined a group of Finnish ladies in Brighton to discuss multicultural marriage and the bringing up of bilingual (or in some cases trilingual) children. Whilst listening to an excellent talk by Maria Onuigbo on multicultural relationships, I realised that a huge element of how I've kept my Finnish identity intact all these years living in the UK, has been the upkeep of certain traditions. 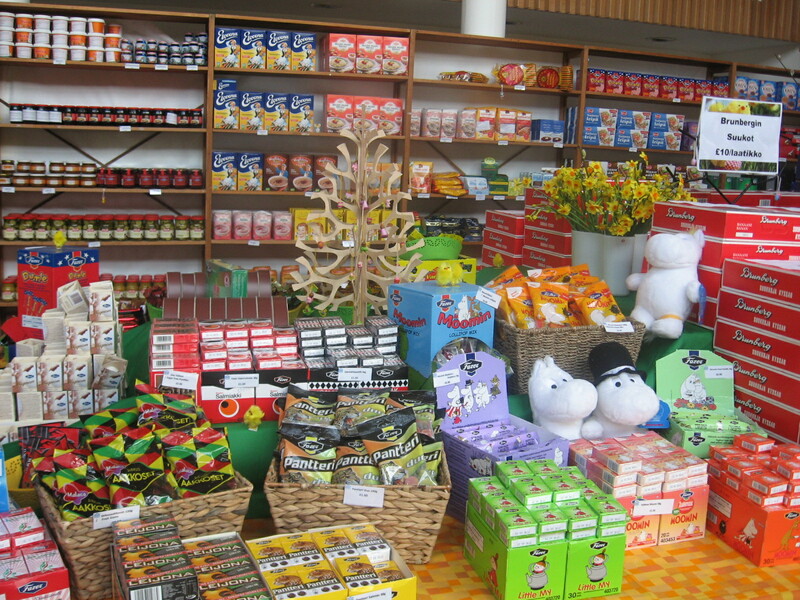 So Easter to me is not just a holiday, it's about getting all the old decorations out, dressing my home in spring colours, being with the family and eating Finnish (and Swedish - see below) foods, with the occasional hot cross bun thrown in. Which brings me onto the shopping bit of this post. 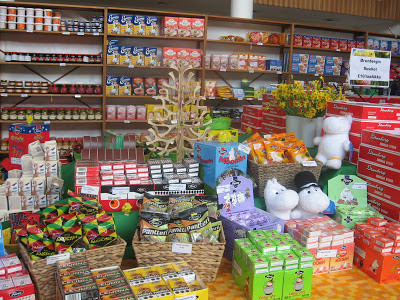 Quite often in the past, I've timed a visit to Finland (or Sweden where you can buy most Finnish foodstuffs nowadays and which to me is a little bit of home too) to bring back such goodies as Fazer's Mignon chocolate eggs, Mämmi (a dessert with molasses and sugar) and quark-filled pastries. This year, however, I haven't managed a trip back home, but will visit the next best thing - Finnish Church Easter Fair. This is an event which mirrors the hugely popular Christmas Bazaar in the Finnish Church and Seamen's Mission in Rotherhithe, East London. 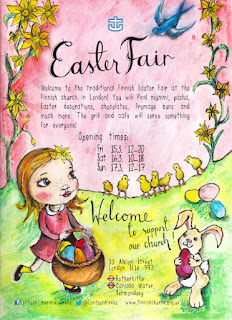 The Easter Fair is this coming weekend, so if you are looking for some unique Nordic Easter foodstuffs and decorations, East London is the place to be. 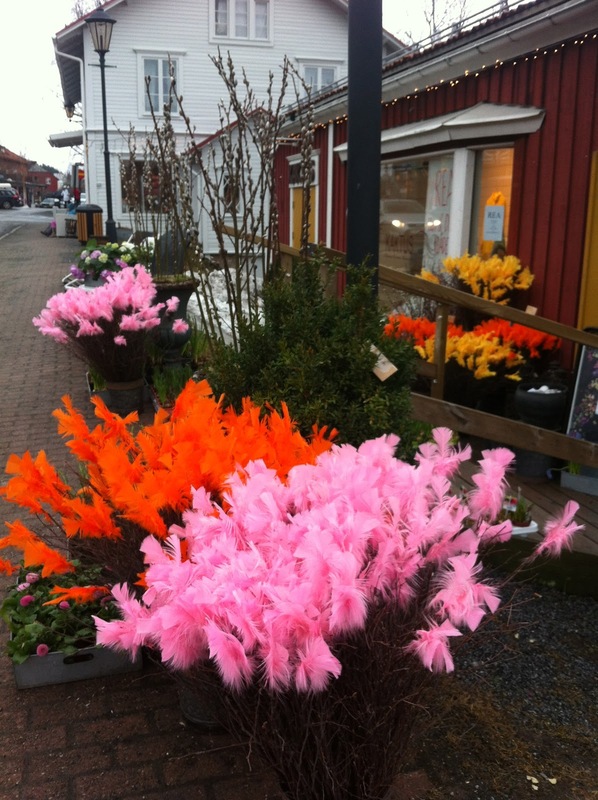 Because my roots are also partly from Sweden, where I lived as a child, I tend to mix into my Easter something from there too, such as these colourful feathers the Swedes attach to birch tree sprigs. I think you can buy these feathers in some florists in the UK, but luckily I've got some left over from last year.